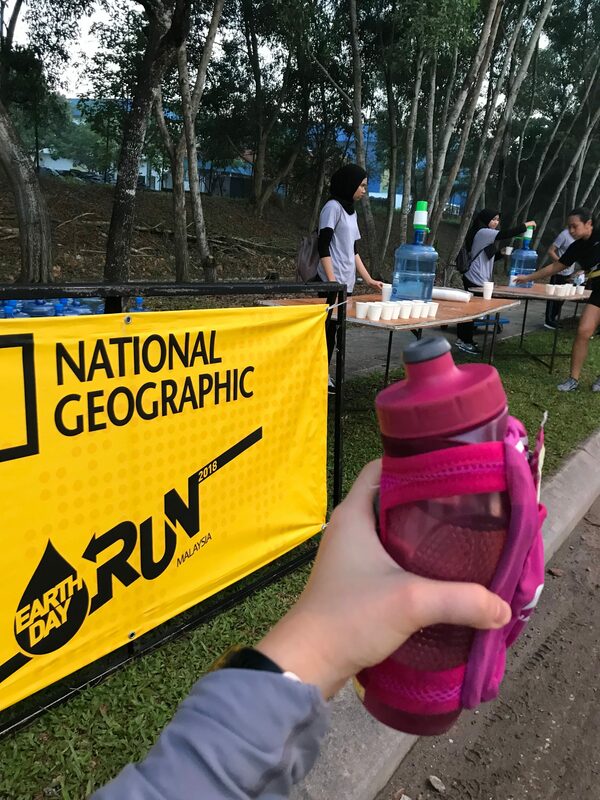 I was inspired by my recent event called National Geographic Earth Day Run to become a more environment-conscious runner. 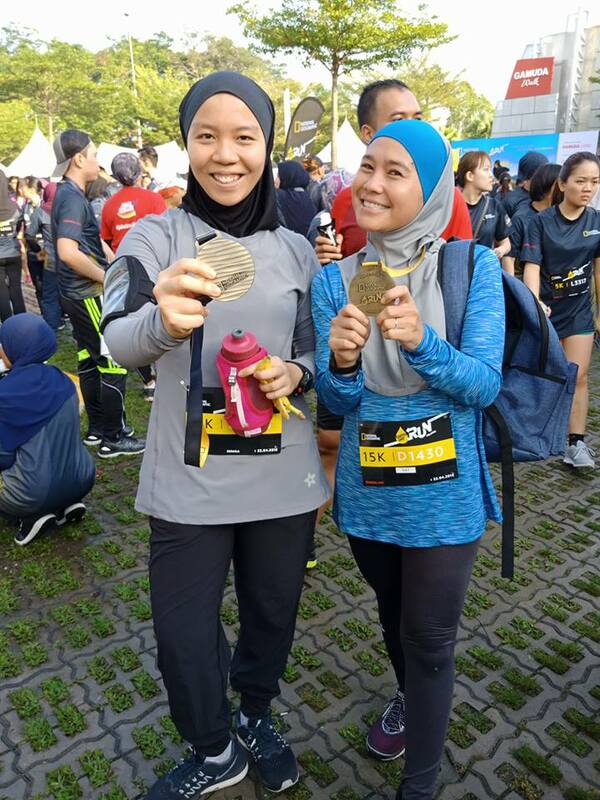 True to its theme, the run has taken efforts to minimize waste, keeping the environment clean, and ensuring the event is as environmentally-friendly as possible. As a runner, sustainable living is very easy to start. You don’t have to buy expensive organic food, or turn into a vegetarian (although this is highly encouraged! ), or give up your current lifestyle that is accustomed to modern amenities. This is commonly implemented at trail runs, however it is not yet common for road races. This is a great idea because water stations will be clean without cups littering the road. 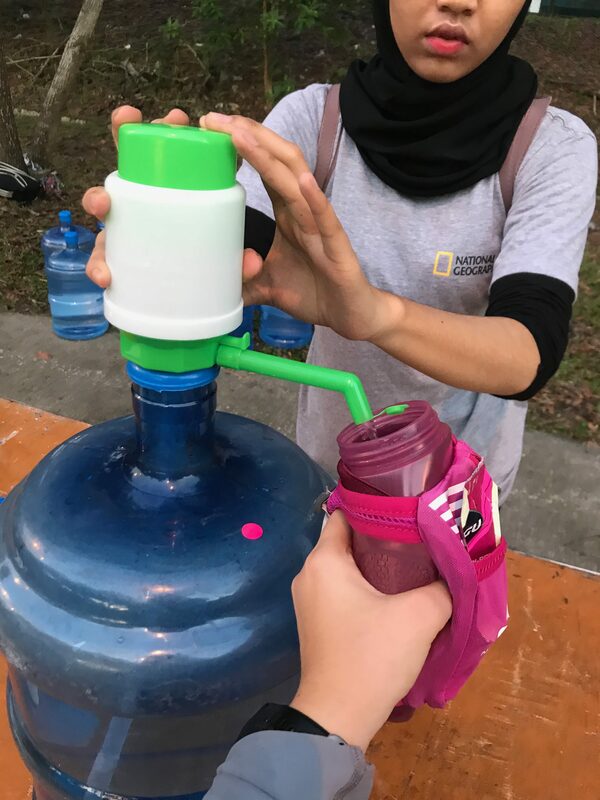 The only trash collected at the water stations will be mostly bananas or energy gel, and this will minimize the volunteers needed to clean up the roads after an event. During your long run LSD, bringing your own bottle ensures that you remain focused. You can save time by not needing to stop at convenient stores along your training route. You are also free to plan your own routes without worrying if you have enough water to sustain the long run training. Water station at this event was one of the cleanest that I have ever seen. There is almost no trash! Any water bottle will do, however it is advisable to invest in a bottle that has a handle or belt attached. Keeping your hands free will make your runs significantly more comfortable. Instead of buying single servings for your energy gels, energy drink, and recovery drink, buy a tub or a bin that will last for several servings. This is a great idea because it will eliminate single-use packaging, such as plastic wrappings. 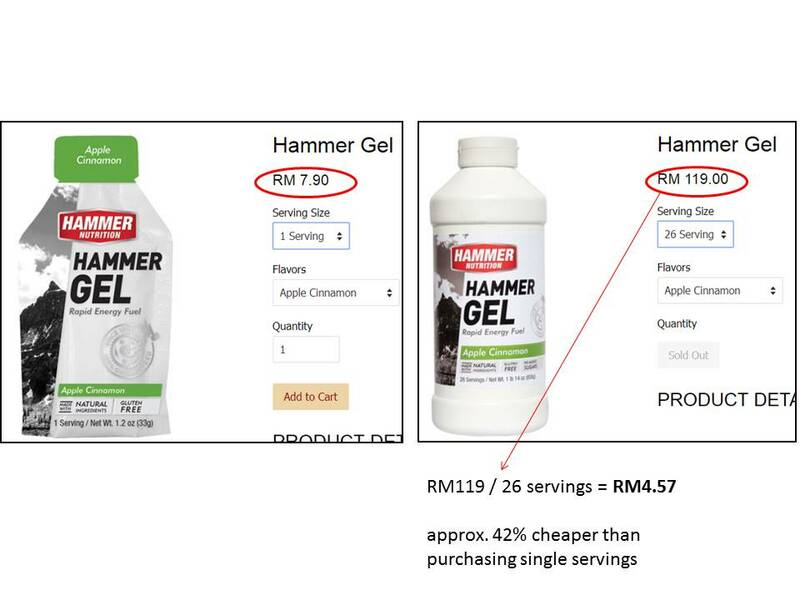 It might be a big amount to spend initially, but the cost per serving will be significantly cheaper. It is a bit of a hassle since you have to take time to mix your own energy drink/gel. However you will save money in the long run. This is a great idea because it cuts down the number of vehicles on the road. Lesser vehicles means decreased harmful gasses emission such as carbon dioxide, which is a significant contributor to global warming. Parking at event venues will be easier too as there were reduced number of cars. Or better yet, take the public transport and you don’t have to worry about parking at all. Based on my observation, one of the biggest trash sources from an event are the freebies and the refreshment. To tackle that problem, they did not give any bags at the finishing line – just a medal and a fruit. 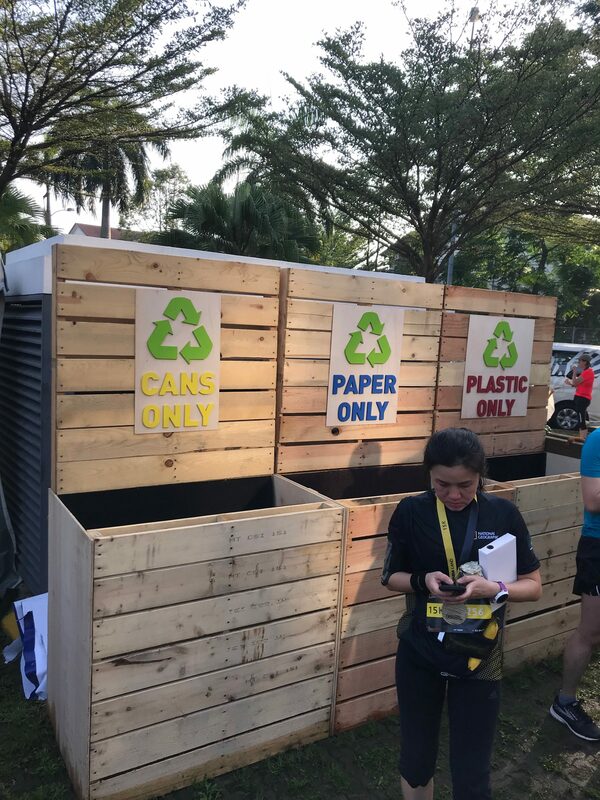 Should participants be interested to collect freebies from the sponsor tents, they can throw the packaging or plastic away inside these recycling bins. On top of that, this event has carefully selected banana to give away at the finishing line, so they have set up a compost bin (not in this photo) for organic waste.